Galactic Reign was quite the revelation when it appeared on Windows 8 and then Windows Phone 7 and 8 last month. Here was an exclusive strategy game for Windows platforms with cross-platform asynchronous multiplayer, and Microsoft basically forgot to tell anybody about it before release. But it’s definitely worth playing if you enjoy competitive strategy games. Check out our review to learn just how the game works. One of Galactic Reign’s most unique aspects has to be its large-scale space battles. See, the fleets of ships that clash against each other in the game can number in the thousands. Instead of rendering these battles in-engine, the details about each side’s armada are sent to the cloud. From there, a cinematic video gets constructed and sent back to the game for players to watch. The technology for those cloud space battles comes from Canadian developer Slant Six games. 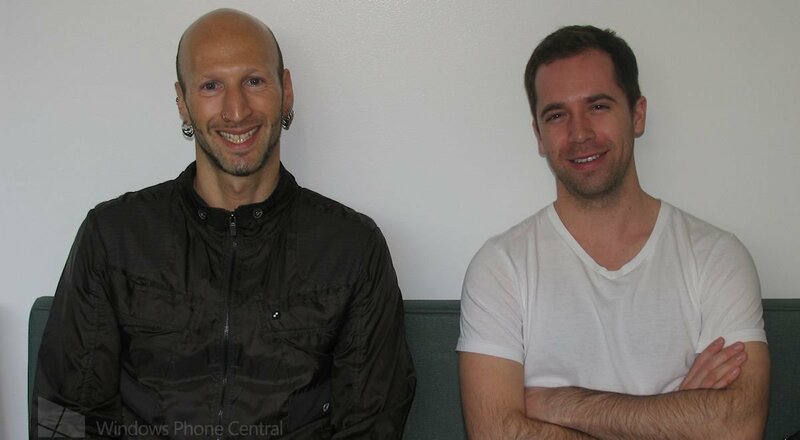 Last week at GDC 2013, we chatted with Paul Martin, Director of Technology and James Ricker, Cinematics Director about Galactic Reign’s videos and Slant Six Games’ experience working with Microsoft. Head past the break for the full video interview! In talking with the guys at Slant Six Games, we learned a great deal about the division of work behind Galactic Reign. Previously we had assumed that Microsoft simply contracted Slant Six to develop the game entirely, with Microsoft acting as the publisher (as they often do with Xbox Live projects). As it turns out, the game concept, artwork, and most programming duties were handled by Microsoft Studios. But Microsoft had come up with the quirky idea of rendering the game’s battles in the cloud as opposed to within the game itself. To do this, they looked to Slant Six Games. The Canadian developer took the data that Microsoft’s game gave them, constructed a cinematic engine to bring the battles to life, and then sent the resulting video back to the game itself. James Ricker (who has a background in cinematography) was instrumental in achieving the dynamic look of the battles. One clear drawback to Galactic Reign’s cloud video creation technology is that after the users’ moves have been submitted, they have to wait a few minutes for the battle videos to process and become available for streaming. That time delay sort of limits how the tech can be used in the future games. While this technology is truly in its infancy, it still holds a vast amount of potential for turn-based and strategic games. Just imagine playing a game like Total War: Shogun 2 on your phone without having to miss out on the large-scale battles. If the delay between requesting a video and the video’s availability ever gets down to 30 seconds or less, I could see a lot of demand for this tech from tablet, mobile, and even PC developers. Later on at the Game Developers Conference itself, I was heartened to see Microsoft promoting its game in a couple of ways. For one, they delivered a post-mortem lecture about Galactic Reign’s development. We’ll bring you guys more details about the panel after the videos become available. Second, the game featured somewhat prominently at the Microsoft GDC lounge area (essentially a large booth promoting Xbox 360, Windows 8, and Windows Phone). Visitors could play against a Microsoft staff member from either a Surface RT or Windows Phone on display. On the last day of the show, staff even distributed Galactic Reign shirts and tote bags to attendees. Not quite as effective as announcing platforms and sending out press releases in advance of a game’s release, but it’s a start! 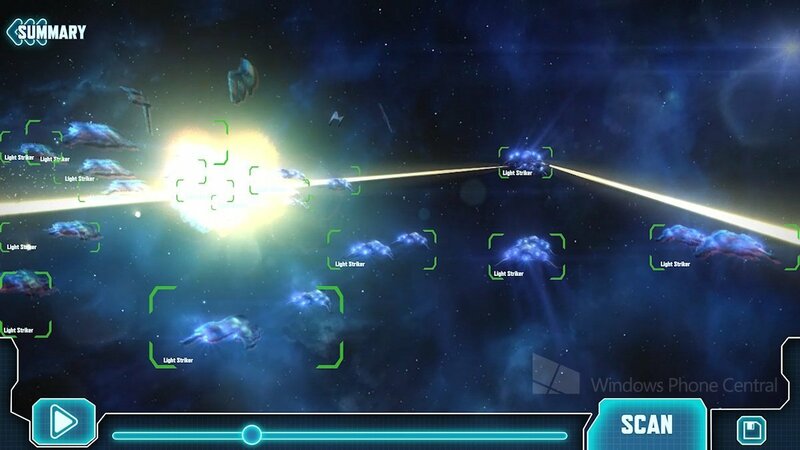 Galactic Reign costs $4.99 on Windows Phone (Store Link) or Windows 8 (Store Link). Try a few multiplayer games and you might just get hooked.